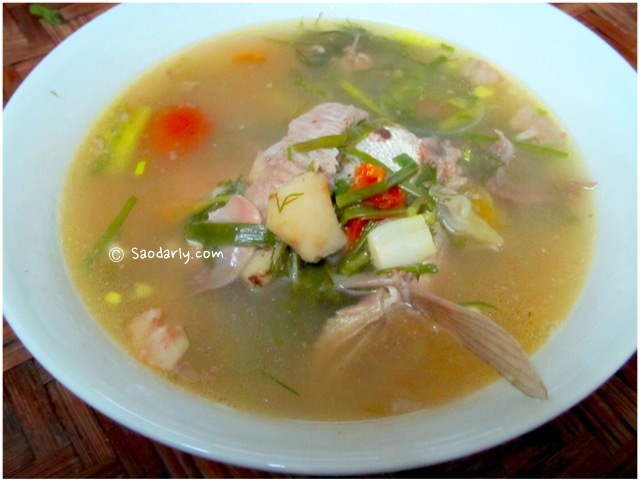 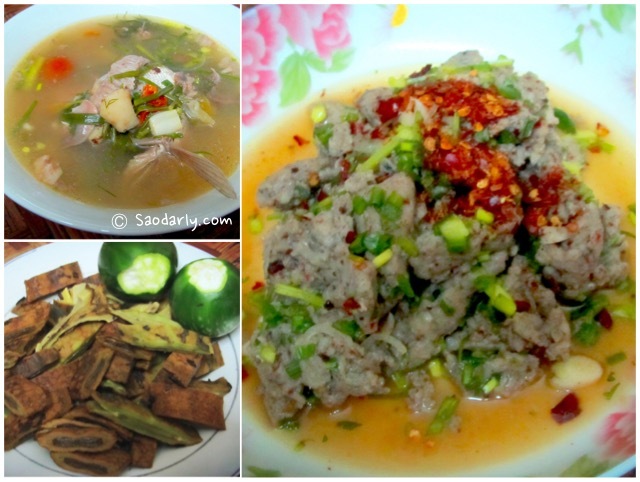 Spotted Featherback Fish Tartare (Larb Pa Tong; ລາບປາຕອງ) and Spotted Featherback Fish Soup (Kaeng Pa Tong; ແກງປາຕອງ) with tomato and green onion for dinner in Vientiane, Laos. 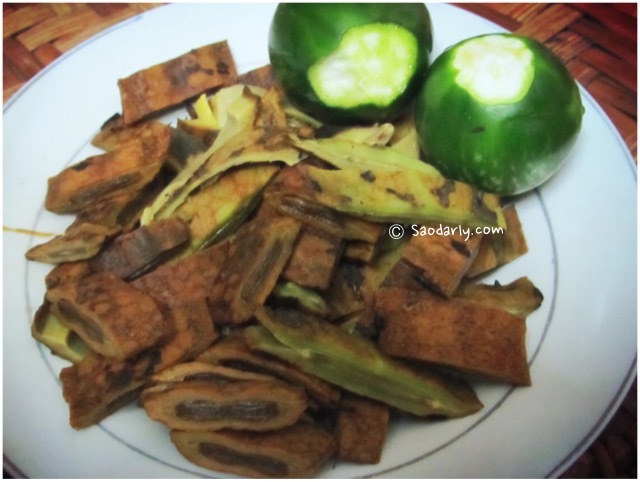 Dinner was served with served with freshly steamed sticky rice, green aubergine, and grilled Maak Len Mai. 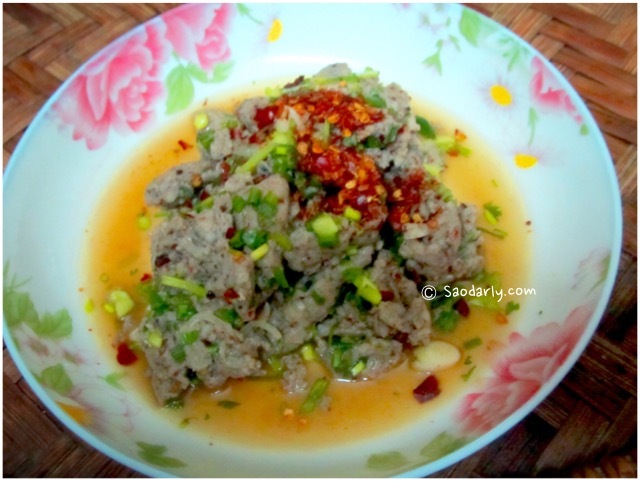 It was a delicious meal with some ground roasted chili peppers on top of the cooked version of the Fish Tartare.